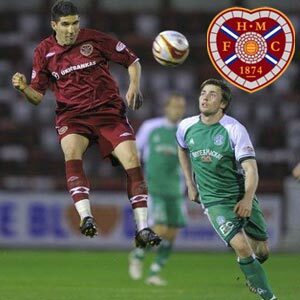 The Hearts Football club of Edinburgh plays the Scottish premier division. The Heart of Midlothian gets its name from a popular dance hall. Founded in 1874, the Hearts have been playing at The Meadows and finally settled at the Tynecastle Stadium. The team's maroon and white colors are popular with Hearts' fans. The Hearts are seeking to replace Craig Levin with John Robertson. They want to have him in place as team manager before the UEFA Cup matches.